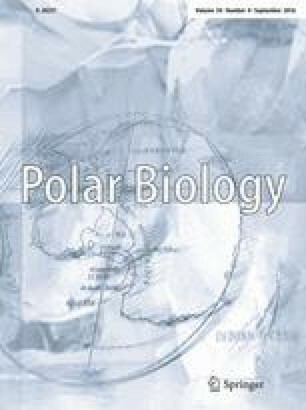 Climate change may turn Arctic biomes from carbon sinks into sources and vice versa, depending on the balance between gross ecosystem photosynthesis, ecosystem respiration (ER) and the resulting net ecosystem exchange (NEE). Photosynthetic capacity is species specific, and thus, it is important to quantify the contribution of different target plant species to NEE and ER. At Ny Ålesund (Svalbard archipelago, Norway), we selected different Arctic tundra plant species and measured CO2 fluxes at plot scale and photosynthetic capacity at leaf scale. We aimed to analyze trends in CO2 fluxes during the transition seasons (beginning vs. end of the growing season) and assess which abiotic (soil temperature, soil moisture, PAR) and biotic (plot type, phenology, LAI, photosynthetic capacity) factors influenced CO2 emissions. NEE and ER differed between vegetation communities. All communities acted as CO2 sources, with higher source strength at the beginning than at the end of the growing season. The key factors affecting NEE were soil temperature, LAI and species-specific photosynthetic capacities, coupled with phenology. ER was always influenced by soil temperature. Measurements of photosynthetic capacity indicated different responses among species to light intensity, as well as suggesting possible gains in response to future increases in atmospheric CO2 concentrations. Species-specific adaptation to low temperatures could trigger significant feedbacks in a climate change context. Our data highlight the need to quantify the role of dominant species in the C cycle (sinks or sources), as changes of vegetation composition or species phenology in response to climate change may have great impact on the regional CO2 balance. The online version of this article (doi: 10.1007/s00300-015-1883-9) contains supplementary material, which is available to authorized users. We thank the Department of Earth System Science and Environmental Technologies of the National Council of Research (CNR) for funding the field activities carried out in 2012 and 2013, the research station “Dirigibile Italia” and KingsBay, Vito Vitale and Roberto Sparapani for logistic support, Emiliano Liberatori and Laura Caiazzo for local support. Mauro Guglielmin, Luigi Mazari Villanova, Roberto Gambillara for their help in the field. Luciano Spaccino for carbon isotope analysis. We thank Prof. Peter Convey for assistance in the English revision of the manuscript.